Two children flying a kite. The definition of a kite is a predatory bird with a forked tail and pointed wings that hunts for food while flying during the day. An example of a kite is a large forked tail bird eating a dead animal in the road. A kite is defined as a light weight, framed piece of fabric or paper attached to a roll of string that is flown in the air by wind currents. An example of a kite is a brightly colored dragon being flown in the air on a breezy day in the park. Kite means to issue a check for more than the balance in the checking account. An example of kite is to issue a check for $100 when there is only $25 in the account. "kite." YourDictionary, n.d. Web. 24 April 2019. <https://www.yourdictionary.com/KITE>. to get money or credit by using bad checks, etc. go away and stop being a bother! a. A light framework covered with cloth, plastic, or paper, designed to be flown in the wind at the end of a long string or multiple lines, especially for recreation. b. A parafoil flown in a similar manner for recreation. 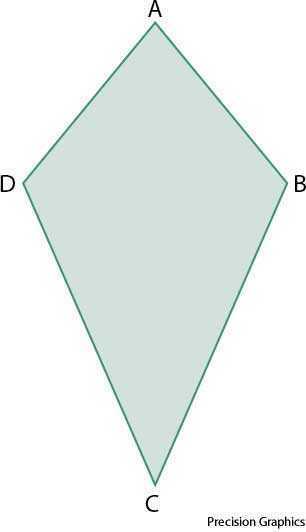 A quadrilateral with two distinct pairs of congruent, adjacent sides. Also called deltoid . Any of the light sails of a ship that are used only in a light wind. Any of various graceful predatory birds of the family Accipitridae, having long pointed wings and often a forked tail. An instance of check kiting. To fly like a kite; soar or glide. To get money or credit with a kite. To use (a check) in furtherance of a check kiting scheme. In kite ABCD, AB = AD and CB = CD. Any of falconiform birds of prey in the subfamily Elaninae of the family Accipitridae with long wings and weak legs, feeding mostly on carrion and spending long periods soaring. A lightweight toy or other device carried on the wind and tethered and controlled from the ground by one or more lines. (geometry) A quadrilateral having two pairs of edges of equal length, the edges of each pair being consecutive. (banking) A fraudulent draft, such as a check one drawn on insufficient funds or with altered face value. (slang) An aircraft, or aeroplane. (sailing, dated) A lightweight sail set above the topgallants, such as a studding-sail. (US, slang, prison) A short letter. (UK, dialect) A fish, the brill. (rare, usually with "go") To fly a kite. I'm going kiting this weekend. 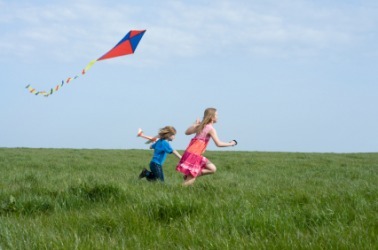 To glide in the manner of a kite. To travel by kite, as when kitesurfing. (banking) To write a check on an account with insufficient funds, expecting that funds will become available by the time the check clears. (US) To cause an increase, especially in costs. (video games) To keep ahead of (a pursuing monster or mob) in order to attack it repeatedly from a distance, without exposing oneself to danger. (nautical, engineering) To deflect sideways in the water. (US, slang, prison) To send a short letter. From Middle English kite, kete, from Old English cȳta (“kite, bittern”), from Proto-Germanic *kūtijô, diminutive of *kūts (“bird of prey”), from Proto-Indo-European *gū- (“to cry, screech”). Cognate with Scots kyt, kyte (“kite, bird of prey”), Middle High German kiuzelīn, kützlīn (“owling”), German Kauz (“barn owl, screech owl”). (UK dialectal, Northern England, Scotland) The stomach; belly. Origin uncertain. Possibly from Middle English *kit, *kid (attested only in compounds: kidney), from Old English cwiþ (“belly, womb”), from Proto-Germanic *kweþuz (“stomach, belly”), from Proto-Indo-European *gʷet-, *gut- (“swelling, rounding; stomach, entrails”), from Proto-Indo-European *gʷu-, *gū- (“to bend, curve, bow, vault, distend”). Cognate with Icelandic kýta (“stomach of a fish, roe”), West Flemish kijte, kiete (“fleshy part of the body”), Middle Low German kūt (“entrails”), Icelandic kviður (“stomach”), kviði (“womb”). In this case the under surface of the kite is made to strike the still air. A boy's kite with great vigour and at a high speed. The military order of Japan is the Order of the Golden Kite, founded in 1890, in seven classes. The badge has an elaborate design; it consists of a star of purple, red, yellow, gold and silver rays, on which are displayed old Japanese weapons, banners and shields in various coloured enamels, the whole surmounted by a golden kite with outstretched wings. A southern portion of this zone, comprising a narrow strip along the Gulf Coast from Texas to Florida and up the Atlantic coast to South Carolina, is semi-tropical, and is the northernmost habitation of several small mammals, the alligator (Alligator mississippiensis), the ground dove, white-tailed kite, Florida screech owl and Chapman s night-hawk.